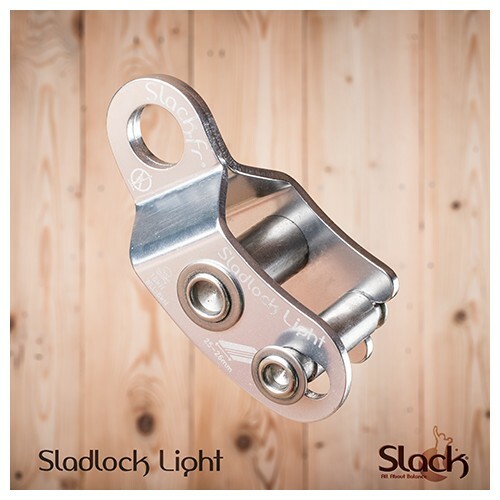 The SLADLOCK© : Slack Adjustable LOCK is a weblock connector. It fits perfectly with our 25mm slackline webbing Supertube, Superflat and Threaded. 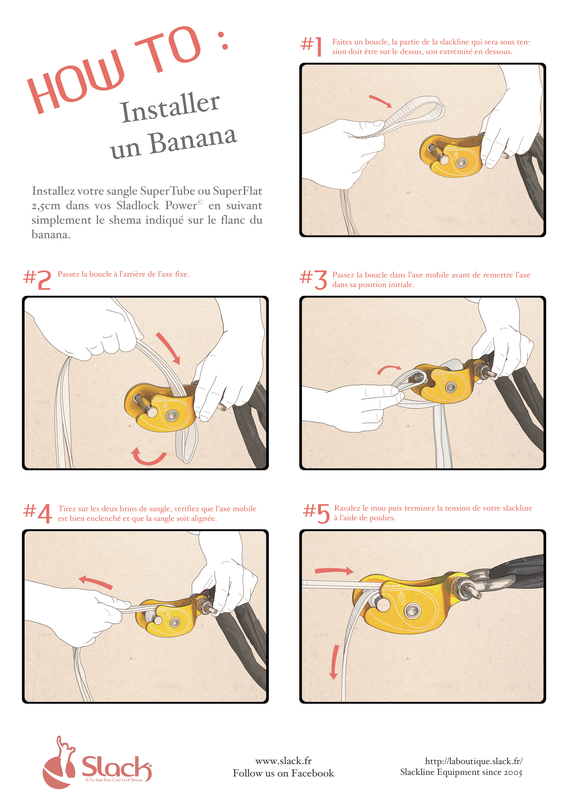 However, it is recommended to use it differently with Hybrid slacklines (ex Moonwalk). 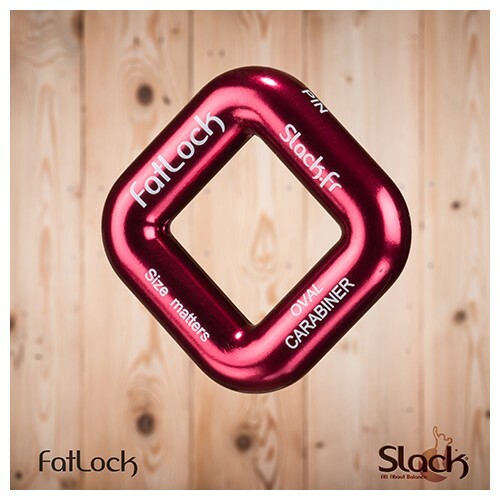 The SLADLOCK allows you to use your slackline while preserving the strength of your webbing. The SLADLOCK LIGHT is based on the SLADLOCK POWER, it allows to have a lighter weblock at low price. Minimalist, its use is oriented on low tension slackline, shortline, rodeoline... 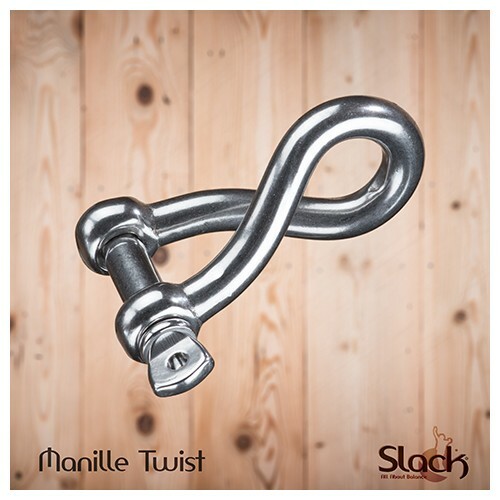 It allows a quick installation and pre-tension. Do not use in Highline. 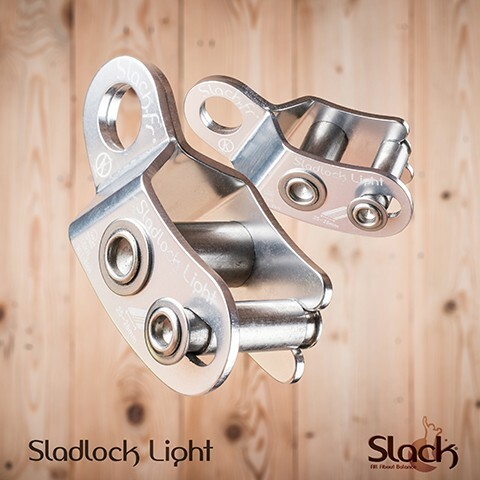 If you want to tight longer or with more tension than 50m, think of Sladlock Power or Slackibloc ! The marking on the Sladlock Light has an error. The breaking load is 16kN and not 18kN as marked on the face of Sladlock Light.